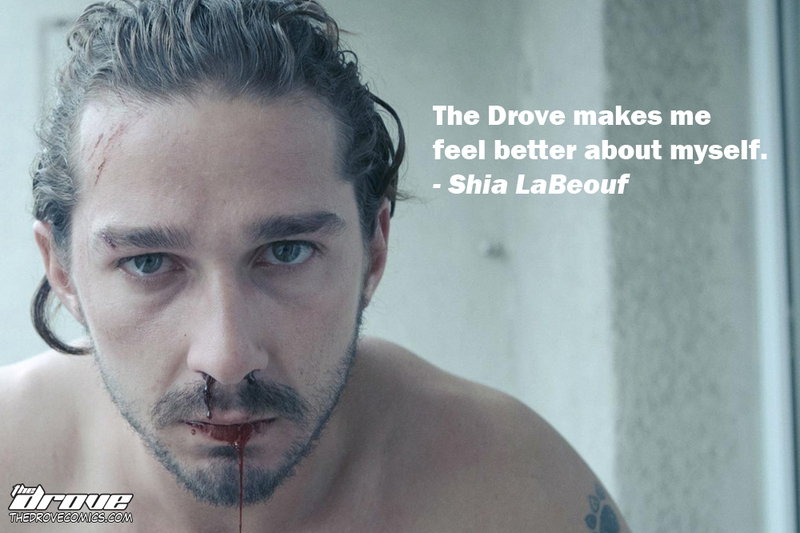 Real Celebrity Quotes with Shia LaBeouf! Just don’t steal our work, buddy! This entry was posted in Real Celebrity Quotes and tagged Brad Pitt, celebrity quote, comic, drove, Fury, I'm not famous anymore, Megan Fox, michael bay, real celebrity quote, sci-fi, Shia LaBeouf, the drove, thedrove, Transformers, webcomic. Bookmark the permalink. ← “I Like Turtles” T-Shirt On Sale NOW!